Turo peer-to-peer car rentals expand Canada's sharing economy. Canadians can now rent their personal vehicle to others through a U.S. company that has just launched in this country. "We're actually the first company to bring the benefits of peer-to-peer car rental to Canada." says Cedric Mathieu, director at Turo Canada. "It's an entirely new way for you to start making money out of your car." How it works? Turo, based in San Francisco, offers a service that is similar to AirBnB, but for vehicles. Through Turo's app or on its website, owners can list their vehicles for rent by the day, week or month, earning money from what is often an under-utilized, depreciating asset. "It's very expensive to own a car these days," says Mathieu. "Especially in Canada where the depreciation of cars is faster than almost anywhere else on the planet, because of the weather, because of the cost of insurance and so on." "With Turo, you can cover the cost of ownership of your car and you can even turn a profit." Mathieu says the average Canadian's car is parked more than 90 per cent of the time. In order to list a car on Turo in Canada, vehicles must be 10 years old or newer, have fewer than 200,000 kilometres on the odometer, and can't be worth more than $75,000. 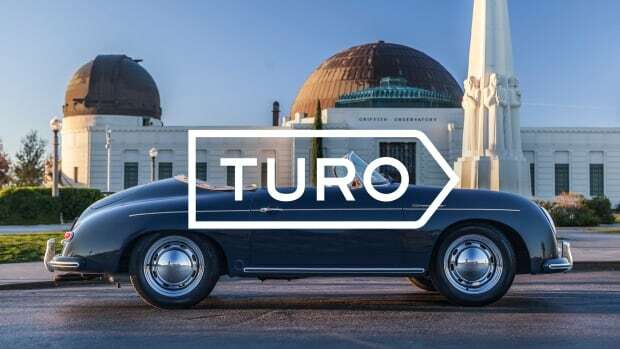 Turo, a private company with venture capital from both Google and General Motors, among others, has been operating in the U.S. since 2009.